Federal prosecutors have reportedly sought bank records related to Jared Kushner’s family real-estate business from Deutsche Bank, the New York Times reported Friday. Citing four people briefed on the matter, the Times reported that the U.S. Attorney’s office in Brooklyn has subpoenaed records from the German bank, although it was not clear why the records were sought. The Times reports that Deutsche Bank has lent hundreds of millions of dollars to Kushner Companies — which is reportedly facing funding difficulties due to the 2006 purchase of 666 Fifth Avenue in Manhattan. That purchase, made at the height of the real-estate bubble, has reportedly backfired and left the company in need of outside funding. While Kushner has stepped down from the business and sold his stakes in some of its projects, his connection to the company has still raised concerns about potential conflicts of interest as Kushner meets with officials of the same countries from which his business has tried to attract funding. The Times reports that it is not clear which records were sought by prosecutors, to what extent they involve Kushner, and if it is at all related to FBI Special Counsel Robert Mueller’s investigation into alleged Russian interference in the 2016 election. “We are unaware of any inquiry directed at Deutsche Bank from the [Eastern District of New York] and have no reason to believe there is one,” a spokeswoman for Kushner Companies told the Times. Deutsche Bank was subpoenaed over records related to former Trump campaign chairman Paul Manafort, but not related to President Trump or his family. The Kushner family has longstanding ties to Deutsche Bank. A financial disclosure form that Mr. Kushner filed with the government shows he and his mother have a line of credit from Deutsche Bank worth $5 million to $25 million. 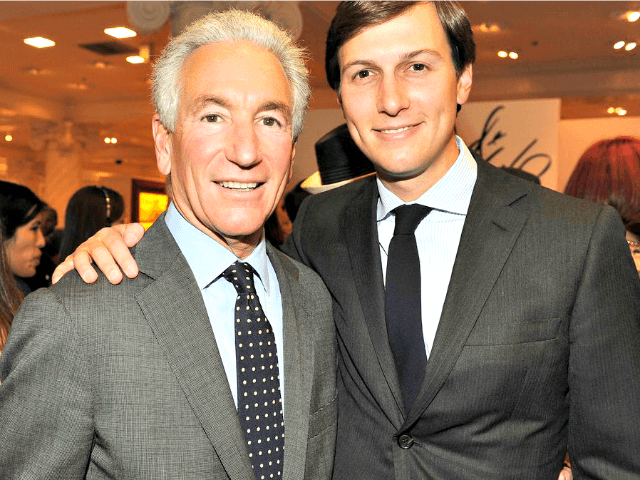 The bank also provided a $285 million mortgage to Kushner Companies last year to help it refinance a loan to purchase several floors of retail space in the former New York Times building on 43rd Street in Manhattan. Kushner Companies was reportedly subpoenaed in August in relation to a New Jersey development. That was financed by a visa program known as EB-5. One Journal Square made headlines in May when Kushner’s sister, Nicole Kushner Meyer, made a pitch to Chinese investors for the project, teasing an offer of green cards. The Kushner family later apologized for mentioning President Trump as part of its pitch to investors.